The Chief Operating Officer of Emerald Solar and Wind Ltd. called for the ministers of environment currently meeting on Montserrat to rethink how the Caribbean views sustainability and our approach to climate change. 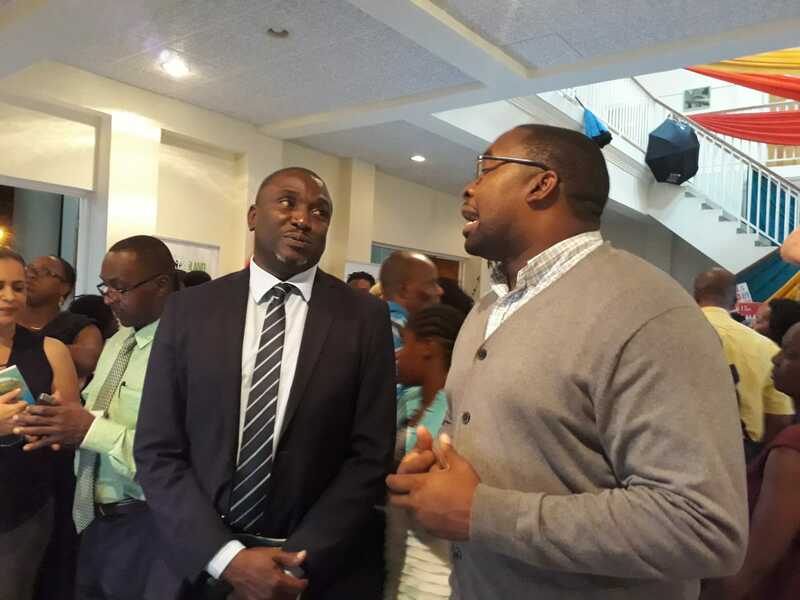 Lyston Skerritt, used the exhibition attached to the COMES5 meeting of OECS Ministers for Environmental Sustainability to launch his new venture and to suggest some new ways of tackling the issues. “I dream of a Caribbean that manages our waste, is conscience about its carbon footprint and is committed to “Sustainable Living”. And guess what, we need no fancy consultancy to do it. Simple action is what we need,” Skerritt said in his keynote presentation. He challenged the ministers and delegates to go further. “It is not enough to just want to see 60% of our islands powered by renewable energy, we need to make the panels. It is not enough to just import compostable food containers, I want to see us develop factories to process the sugar cane. It is not enough to recycle, I want to repurpose foil, cardboard, paper and glass. “This comes with a commitment to change in everything we do and the way we think. In education, we need to challenge UWI and UTech to offer solar engineering as a degree. In agriculture we need to stress the use of compost fertilizer. In Communications and Works we need explore the use of biodegradable materials in paving roads. In youth, we need to educate the future generation about our lands, animals and environment. 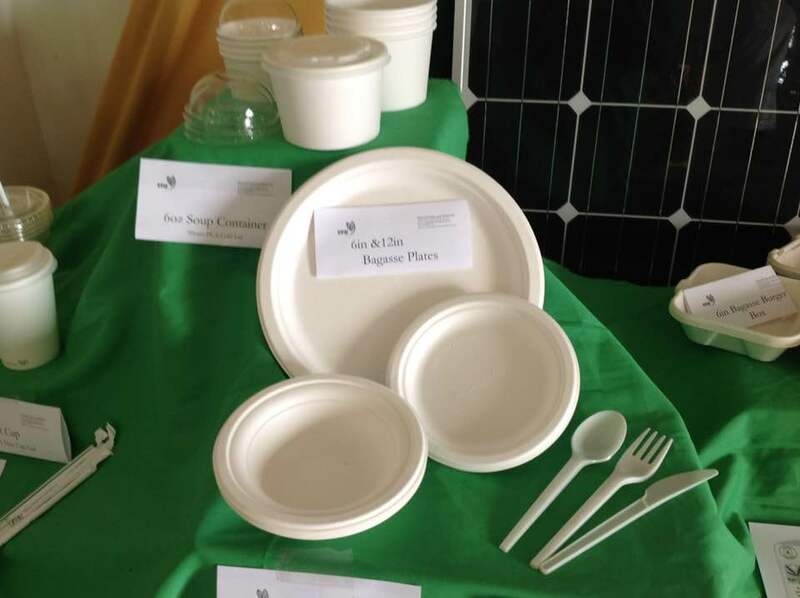 Skerritt’s company debuted a new line of food containers and eating utensils made from bagasse, a product of the sugar cane plan, which won’t destroy the environment. His long term goal, he said is to pursue initiatives which harness solar power and wind. The entrepreneur said they are learning from the mistakes of other islands who took a hard and fast approach to removing plastics as an option for businesses. His company prefers a phased approach with a gradual diminshing of the importation of plastic products. Montserrat, he said, currently imports about 16000 styrofoam containers and 70,000 plastic bottles each year. While these numbers are small compared to other islands, the plastics regularly end up in the ghauts and subsequently the ocean. Skerritt believes that with a small population it is very possible to become a zero waste community with intentional and timely intervention.